Backing: Kona Premium Muslin in white, super duper soft. Binding: Rhapsody in Bloom stripe. Double fold, attached completely by machine for durability with perfectly mitered 45-degree corners. Quilting: Straight line on the diagonal in white polyester thread. 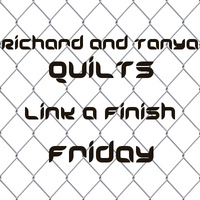 For sale at Busy Hands Quilts on Etsy!! If you like this quilt but need a different size, I have more fabric and can do that for you!! Thank you for linking up to LAFF. Get that girl s'more fabric!! Fabric Addict. Quilt Maker. Pattern Designer. 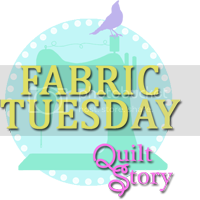 I ♥ fabric, color, and quilting! We engage in affiliate marketing whereby we receive funds through the sale of goods or services on or through this website. We may also accept advertising and sponsorships from commercial businesses or receive other forms of advertising compensation. This disclosure is intended to comply with the US FTC Rules on marketing and advertising, as well as any other legal requirements which may apply. © 2010-2018 Busy Hands Quilts. The duplication of articles, photos, or blog entries without the express permission of the owner is strictly prohibited.